So you're having a frugal Christmas. Won't the kids be disappointed with only a few packages to rip open like wild beasts? Just kidding--and for now, we'll set aside the thoughtful questions like "How many presents ARE enough?" First, I hide the extra candy from Halloween and the Christmas parade. 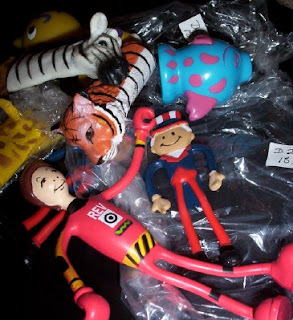 I look for quality tiny toys at yard sales and thrift stores (pictured, 15 cent bags of assorted toys). Hoarding empty paper tubes is the hardest part! Insert a few goodies into each tube (trim longer tubes into smaller sections). Don't stuff them tightly or the tubes won't pop. Wrap tube with paper. 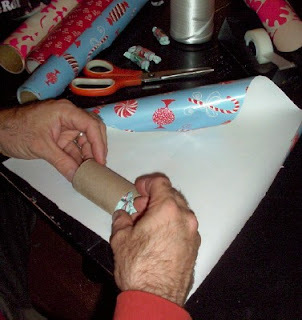 This is a great way to use up those extra bits of wrapping paper left over from big gifts. Twist each end. Tie with curly ribbon. From what I understand, the British place a cracker at each plate for Christmas dinner. In our house, Santa sticks them in stockings and in the tree. To open, two people each hold one end and pull! Sit back and watch the fun. Meredith--that is such a fun idea! It's a bit too late for me to do it for Christmas as I don't have any little cheapo toys, but I will definitely be on the lookout with birthdays in mind. 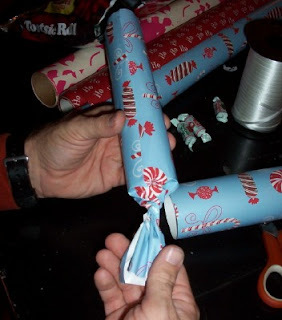 You are absolutely right, we pull our crackers at the table just before we start Christmas lunch or dinner. The crackers always contain a paper hat, a terrible joke and a little gift. And of course they all have a strip of paper that when pulled apart goes crack or bang. 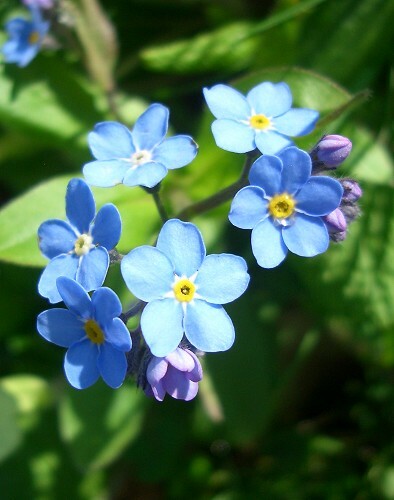 I've always wanted to make these! Thanks for another great idea! Boy, you have a hairy arm! My husband started our cracker tradition (after visiting his mother's adopted home over the holidays). Now it's *his* baby, which is kind of nice, considering I buy, wrap, and ship gifts for his side of the family. Meredith, Is there an email address you use for this blog ? 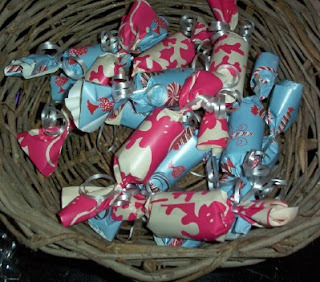 Crackers vary in price but are VERY inexpensive AFTER christmas and would be very light to post if you would like to have some genuine British ones sent to you ? But our local craft stores (Spotlight, for any other Aussies) have the snaps that go inside, for that extra 'bang' when you crack them open... not sure if you could find something similar? Thanks for sharing this! 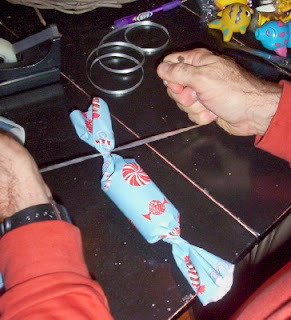 I am going to make some with leftover party favors!